Ferrous metals and non-ferrous metal pipe special chemical composition, special specifications. For example: 420,430 martensitic stainless steel , duplex stainless steel , tool steel , bearing steel , etc. 1.Steel smelt with qualified ingredients. 6.Semifinished products quenching and machining. 8.Finishing outside surface benchmarked with internal hole. 10.Strike steelsleeve for cold rolling mill trademark. 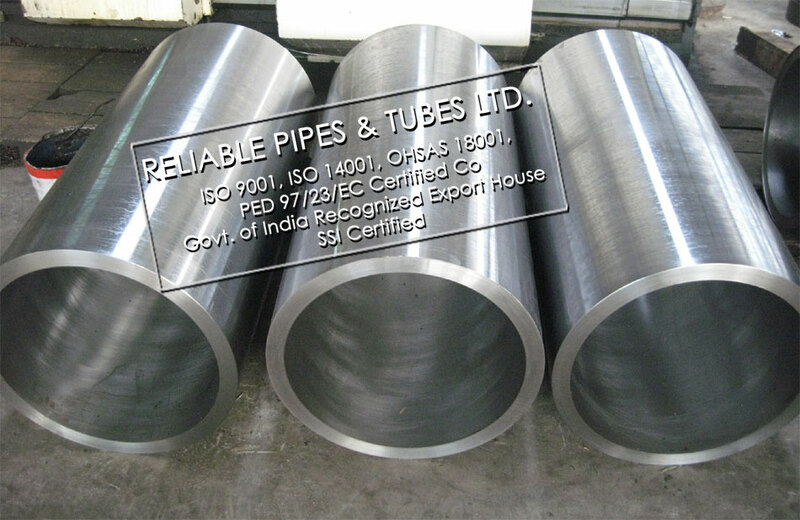 11.steel sleeve for cold rolling mill certificate issued. 12.steel sleeve for cold rolling mill packaging. steel sleeve for cold rolling mill quenching process: Pit quenched with water quenching and oil cooling. We use advanced process of smelting and casting dedicated to ensure the steel sleeve chemical composition is reliable, accurateand and has the same properties. Centrifugal casting is dedicated to ensure internal and external surfaces of sleeve have no defects such as crack, slag, blowhole, blister, etc. The heat treatment process will make sure the mechanical performance of sleeve. With the special machining tool and rational process the sleeves have high performance of concentricity, cylindrical, symmetry and balancing. When passing steel, cast iron, copper or plastic pipes through walls, ceilings or floors, waterproof sleeves serve as a protective conduit. The pipe passes through the inside of the sleeve.